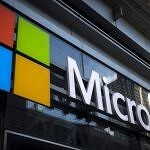 Microsoft is continuing to bring applications to Android and iOS, and according to a report from AndroidCentral, a new Microsoft Movies and TV application may be in the works for Android devices. The current Movies & TV app made by the company is only available on Windows-based platforms such as Windows 10 PC, Xbox, and Windows 10 Mobile. This news is beneficial to those who may have built up a large library on Microsoft’s own video content store, as those switching over to Android may have been disappointed by the lack of an application for the service. According to the report, the reason Microsoft intends to bring their Movies & TV service to Android devices is to have the Microsoft store reach even more potential customers. While a lot of people use streaming services like Netflix, others like to buy their content on services such as Google Movies or iTunes. When Microsoft killed off Windows 10 Mobile and its music streaming service, many felt that Movies & TV might be next on the chopping block. That suspicion increased further when the company began to bring its best applications to Android and iOS, such as Microsoft Edge. Thankfully that does appear to be changing, but it likely won’t be released for a while. Work is currently ongoing. What is also good news though is that an Android version of the application means that you could use it on an Android TV box or Fire OS. It’s a pretty big deal and will mean that users won’t have to go through annoying workarounds to play their content on the TV. As for other services, Microsoft also expects to announce that it’s joining the “Movies Anywhere” program soon. “Movies Anywhere” means that if you buy a movie on one platform, you’ll be able to then stream it on other platforms at no extra cost. Many who purchase movies for streaming online enjoy the feature, and it’s a must-have for any popular service now.